Whether you are a startup building the next disruptive product/service, a creative studio in need of independent critical thinking or help to develop new partnerships, Mintonic brings in-depth strategic expertise and businesses development capacity to help you deliver on your mission. With twenty years of international business development, marketing experience and executive leadership in the interactive entertainment and consumer goods industries, Mintonic offers flexible business services adapted to your needs and is committed to deliver quality and effective results. C-level Business Development, Deal Negotiation and M&A, Business and Marketing Strategy, Products & Services Market Fit, Professional Coaching, Pitch development, Due Diligence, Product Management, International Development. Oink, a family friendly and safe online payment platform for the millennia generation under 21. YoYo Games, developer of GameMaker: Studio, a game development engine for Indies. Finger Food Studios, a social, mobile, and second screen App developer. IOT Design Shop, an Internet Of Things software and hardware incubator and developer. Lively, a music startup that brings artists and fans together by capturing live performance. Exponential Entertainment, a rich media movie based quiz games development studio. PixYUL, new game studio developing ReRoll. Duxter, the next generation game community platform as a service. Virtuos, the largest independent outsourcing and co-development game studio in China, with over 1100 employees across five studios in China and France. Sébastien Motte is the Founder & Chief Business Enabler of Mintonic. Prior to start Mintonic in September 2013, he was Senior Director of Worldwide Business Development for Microsoft Studios. For thirteen years, Sébastien built and led an international business development team responsible for all Xbox first-party games. He was in charge of identifying and securing all partnerships with independent game studios and global consumer brand companies for Microsoft Studios games and entertainment content exclusive to Xbox LIVE, XBLA, Xbox 360, Kinect, Windows Phone, Windows 8, Xbox One and HoloLens. He was leading a diverse team of 20+ international business development professionals, responsible for investing and negotiating triple digit million dollar advance royalties budget across 500+ deals per year. Sébastien started as one of the first employees in the Game Division nineteen years ago as Product Manager in the Microsoft French subsidiary, launching the first-party lineup of games developed for DirectX and Windows 95. In 1997, he moved to Seattle, Washington, to manage the marketing of the Age of Empires and Close Combat franchises. In 2000, one year prior the launch of Xbox, he took on his business development role to start building the first console development partnerships for Microsoft Game Studios and develop a world-class exclusive first-party portfolio with AAA franchises such as Halo, Gears of Wars, Forza, Fable, Alan Wake, Minecraft, World of Tanks, etc. Prior to Microsoft, Sébastien spent two years in Côte d'Ivoire, West Africa working for a brewery as "economical cooperant" in charge of launching Tuborg beer. Sébastien grew up in a rural village in France and holds a degree in Agriculture Engineering from Institut Supérieur d'Agriculture de Lille. He is also interested in environment and sustainability businesses and a member of Social Venture Partners and Elements 8 formerly known as Northwest Energy Angels (the first angel group in the United States to focus exclusively on clean technology and sustainability). 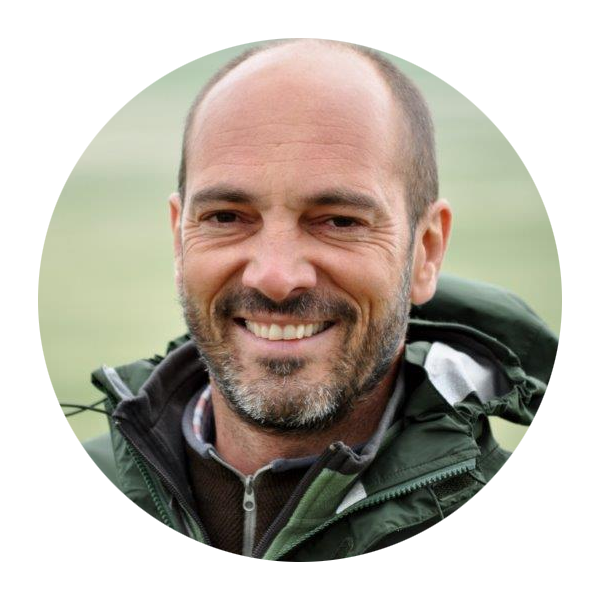 Sébastien’s passions include yoga, living by the water, sailing, skiing, trekking, adventure travelling and photography. He is a certified Kundalini yoga instructor and the proud single father of two kids, Luca and Stella, an ongoing humbling and fulfilling experience.